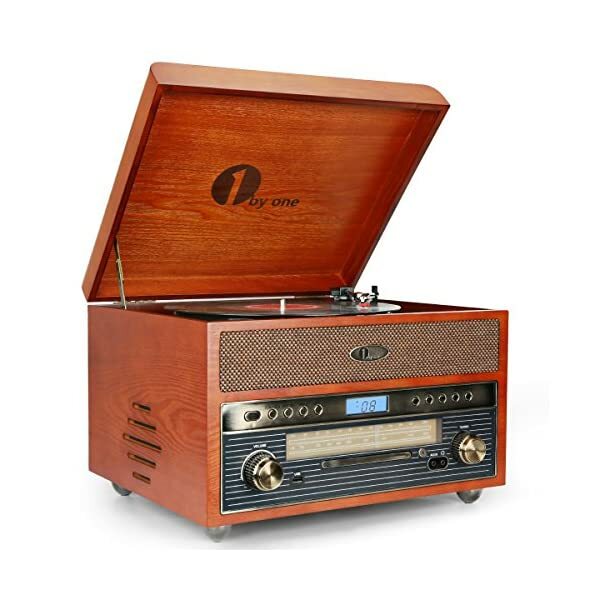 Great Styling – An old-fashioned look, protective dust cover, and convenient front panel with playback controls. 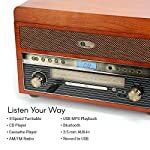 Audio Recording – Record your favorite music from CDs/Vinyl/Cassettes/AUX to a USB memory/storage device. 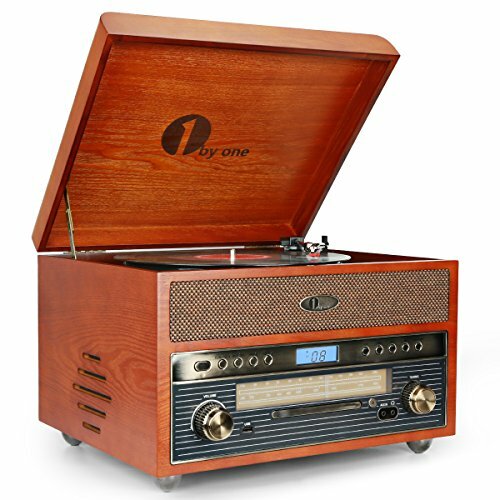 Inspired by over 100 years of turntable design, 1byone has crafted a turntable with vintage record player looks, high-quality speakers, and modern stereo system features. 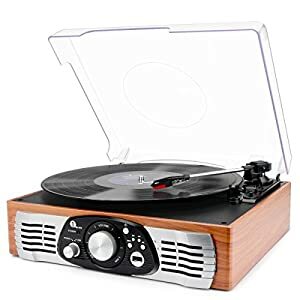 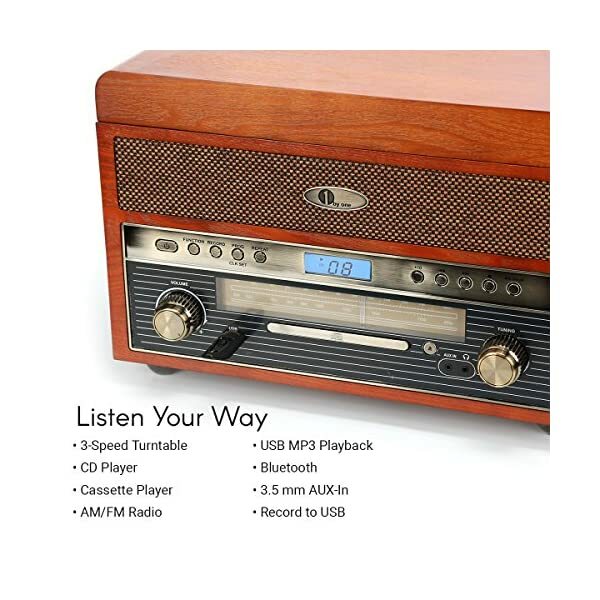 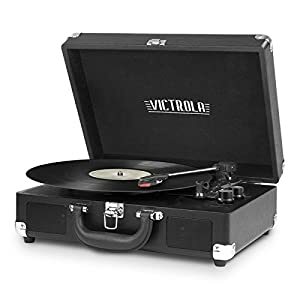 Our Nostalgic Wooden Turntable brings retro stylings and technological audio versatility to your home sound experience. 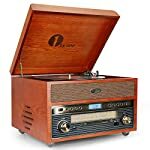 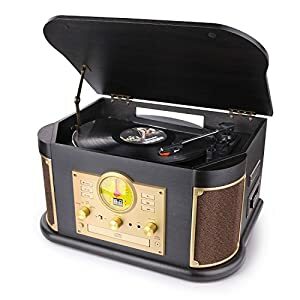 High Quality Sound – A warm, crisp, natural vinyl listening experience with Two high-performance speakers, 33 / 45 / 78-RPM speed settings, and included 45-RPM adaptor. 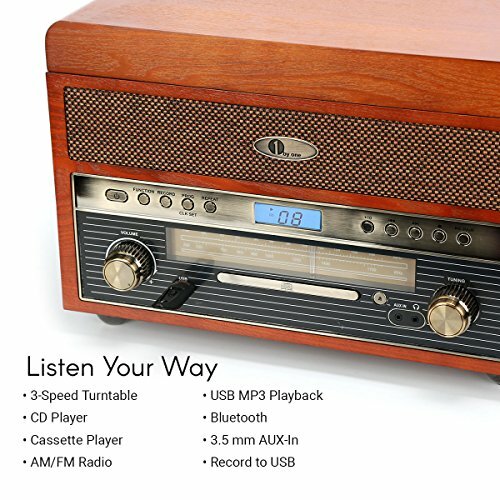 Power output for Phono is 2W*2 RMS, for USB/ CD/ Cassette is 5W*2 RMS. 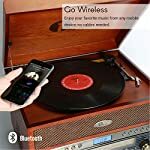 Full Range of Media and Ports – Play your entire collection of vinyl records, cassette tapes, CDs, MP3s from a USB, and even AM/FM radio. 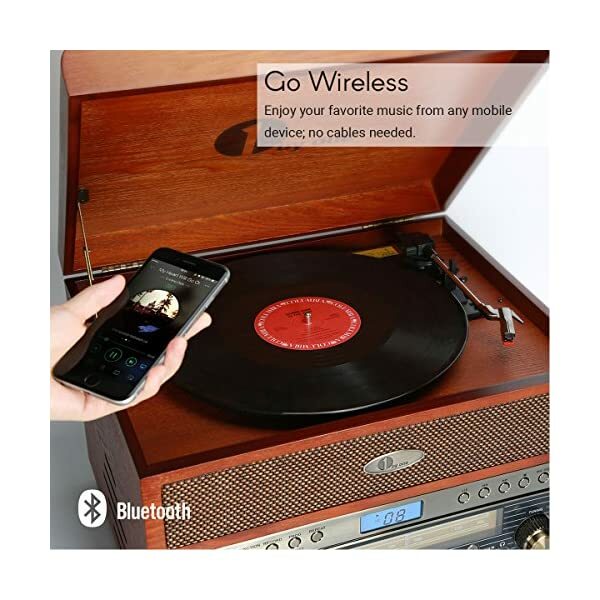 Connect to a home sound system with the AUX-Out RCA jack or smartphone or tablet using the 3.5mm jack.